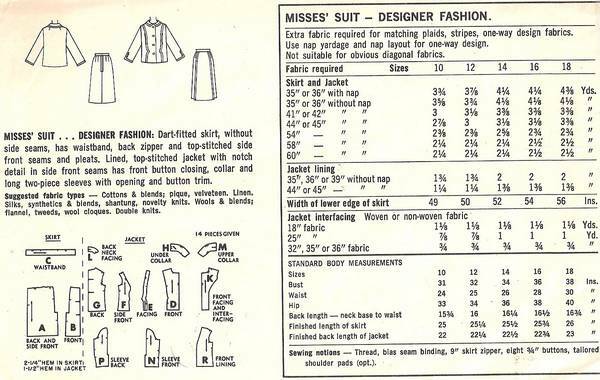 Lined, top-stitched jacket with notch detail in side front seams has front button closing, collar and long two-piece sleeves with opening and button trim. Dart-fitted skirt, without side seams, has waistband, back zipper and top-stitched side front seams and pleats. Size 18; Bust 38; Waist 30; Hip 40.